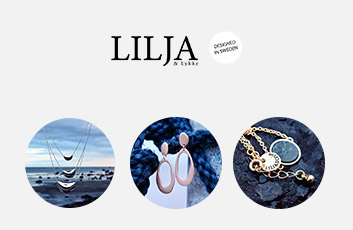 LILJA & Lykke are Swedish design jewelery created with inspiration from the creatures of the sea. All of our jewelry is nickel safe and has a high durability. We use beautiful gems in our jewelry like crystals, rose quartz, lavastar and sodalit. We want everybody to have the chance to wear jewelery with exclusive timelessness, class and luxurious details - we want everyone to get the chance to wear LILJA & Happiness.